REDONDO BEACH, Calif. – April 2, 2013 – Northrop Grumman Corporation's (NYSE:NOC) four-story high, tennis court-sized full-scale model of NASA's James Webb Space Telescope attracted thousands at the recent South by Southwest (SXSW) Interactive Festival in Austin, Texas. Northrop Grumman partnered with NASA, the Space Telescope Science Institute (STScI), Microsoft Research, Ball Aerospace, ATK Aerospace, ITT Exelis and the University of Texas at Austin to highlight the science mission and engineering behind NASA's Webb Telescope during the SXSW Interactive Festival March 8-10. Texas will play an important role in the testing and utilization of the James Webb Space Telescope. NASA's Johnson Space Center in Houston is now home to the only vacuum chamber in the world that is large and cold enough (-440°F) to provide a space-like environment for the Webb Telescope. Chamber A, a national historic landmark used to test Apollo spacecraft, will test portions of this one-of-a-kind flight telescope in a full-up thermal vacuum environment starting in 2014. University of Texas Astronomers and the McDonald Observatory are among those already planning to put the Webb Telescope to work exploring the universe after its launch in 2018. In addition to the full-scale model, the Webb Telescope exhibit at SXSW included an immersive experience with Microsoft Research's interactive World Wide Telescope, featuring presentations by a number of prominent astronomers including Nobel laureate John C. Mather. The World Wide Telescope display showed how that technology made it possible to explore the nature of the universe by panning through Earth's solar system and circling around the Milky Way. The exhibit also showcased Webb Telescope hardware and mirror displays, infrared camera demos, and NASA activities that demonstrated how the mission is inspiring the next generation of scientists and engineers to push the boundaries of science and technology. 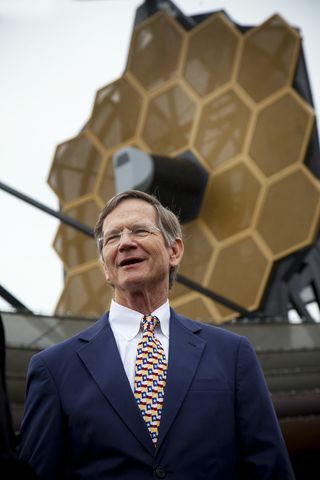 More than 10,000 exhibit visitors, including Rep. Lamar Smith, chairman of the U.S. House Science, Space, and Technology committee, got an in-depth look at the perplexing questions that this advanced telescope is designed to help answer, such as "How did the universe make its first stars and galaxies?" and "Is this solar system unique?" "The James Webb Space Telescope is a great example of where our nation can go in the future by maintaining our leadership in the realm of space innovation and exploration – to galaxies far beyond," Smith said during his hour-long visit. 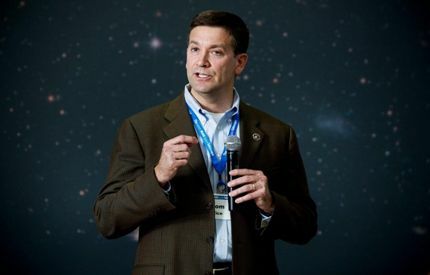 Tom Vice, Northrop Grumman Aerospace Systems president, delivered a keynote address March 10 to a crowd gathered around the World Wide Telescope . "There is incredible innovation and ingenuity happening every day to bring the James Webb Space Telescope to life," he said, noting the engineering behind the telescope's mirror, sunshield, spacecraft and science instruments. Northrop Grumman's partnership with NASA, STScI and the University of Texas incorporated an important element of science, technology, engineering and mathematics (STEM) outreach into this event. NASA and STScI brought a Webb Telescope-inspired science curriculum to classrooms across Austin. Educators worked with K-12 students to create Webb Telescope-themed art and science projects that were displayed at the event, demonstrating hands-on learning. University of Texas students and professors volunteered their time to talk with the public about astronomy and give interactive presentations using the World Wide Telescope. 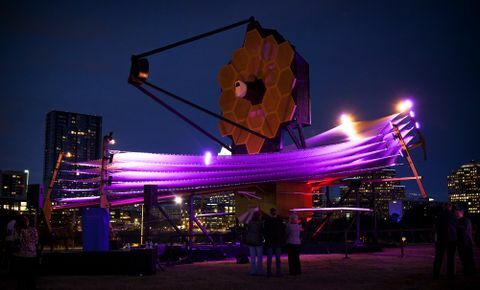 In this spirit of STEM outreach, the Webb Telescope's presence at SXSW culminated with a Guinness World Record attempt for the largest astronomy lesson. The previous record was 458, but the crowds in Austin helped set a new world record of 526. 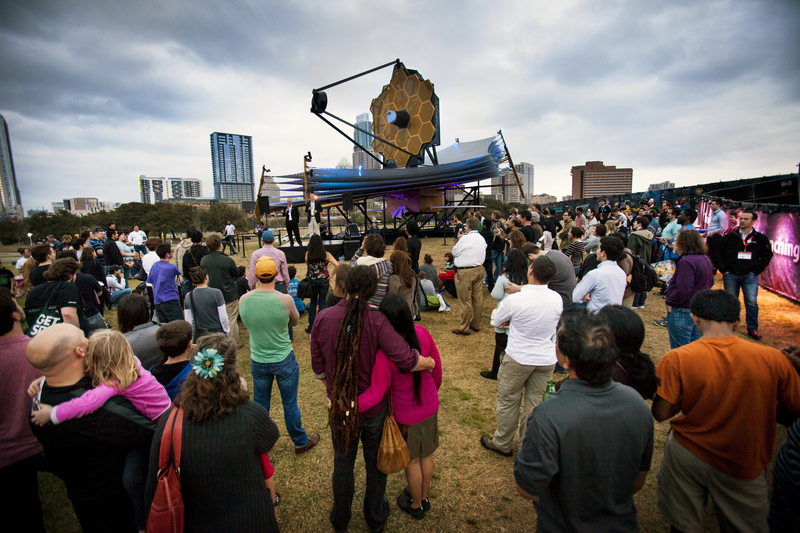 "Participating in South by Southwest was an outstanding way to reach out to the public and share the incredible science mission and remarkable engineering behind the James Webb Space Telescope," said Scott Willoughby, Northrop Grumman Aerospace Systems vice president and Webb Telescope program manager. "Our interactive exhibit demonstrated the vision behind the Webb Telescope and the challenges of its construction, and showcased the science and technologies that will change people's understanding of the universe."